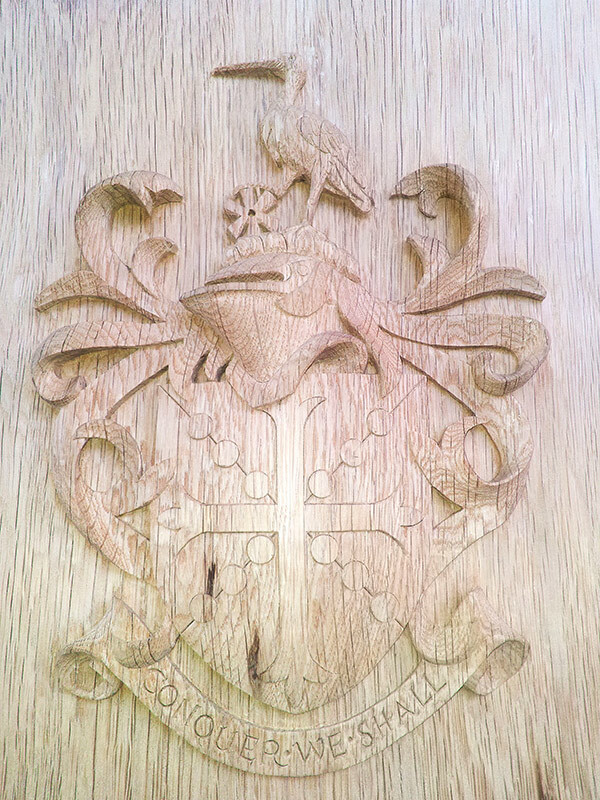 Carved school crest for a lectern. Oak. This crest was carved from a oak panel and then inset in a frame. This was to form the centre piece of a lectern for a private school in London.